More than by force of maintaining a blog, it has now been my nature of writing something about the places I go to, be it unfulfilling and mediocre. Considering the brains and sorcery exhausted just for those destinations to be there leads me to the idea of consolidating ‘intels’ as positive and as sunny as possible. ‘Bisayas‘, domestic journeyers through any points of entry from Region 6 and Negros Island Region, and foreign tourists, through Iloilo International Airport, can have a laid-back rural ambiance at these six fresh choices for a summer getaway in Iloilo and Guimaras, destinations I have personally set foot on in the Summer. This so fresh in the eyes. 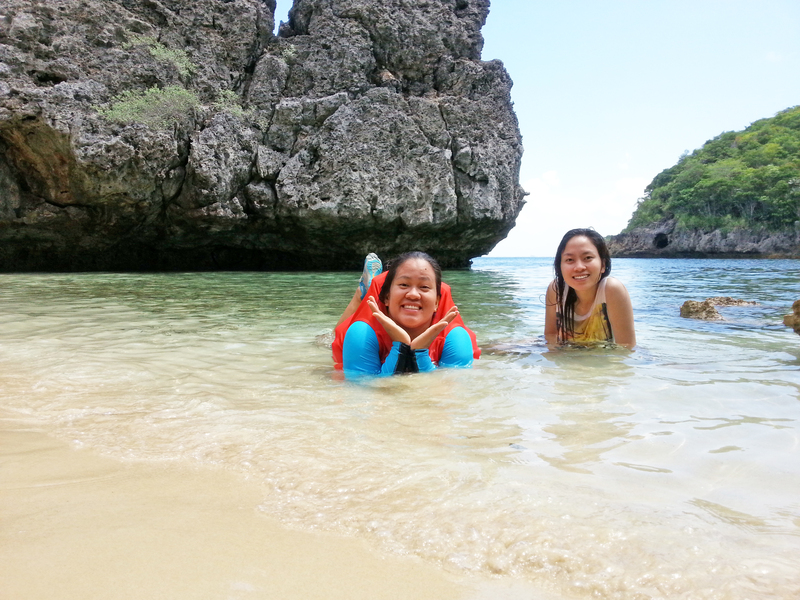 At a very small land area, frolic at three white sand mini beaches, and two beautiful islets. And, ‘feel like its your own’ by traversing on their interconnected rock formations by bamboo-supported transits and just swim by the side of floating cottages. They have electricity supply but the network signal is hardly satisfactory you need to go up the hills to get a bar. We had our high school reunion and it was a perfect moment for escaping urban bustle, office toxins and school problems. It can be reached by a 15-minute boat ride from Iloilo City Ortiz Wharf. If you are in group, it is better that you rent a jeepney going to San Roque, Nueva Valencia. 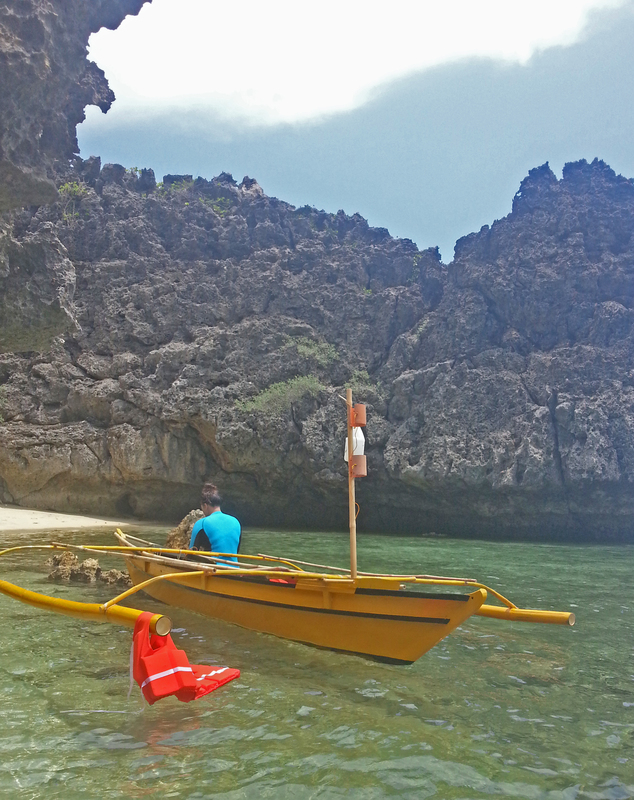 Then, ride a boat going directly to Sto.Niño Island Resort at about 10 minutes. They have 3 air-conditioned hillside bungalows each with a terrace overlooking the front and neighboring islets and islands, two guest houses with 5 fan rooms, one bungalow and one cottage with electric fans and seven sheds for day time guests. This summer getaway is a bandwagon more than a destination. 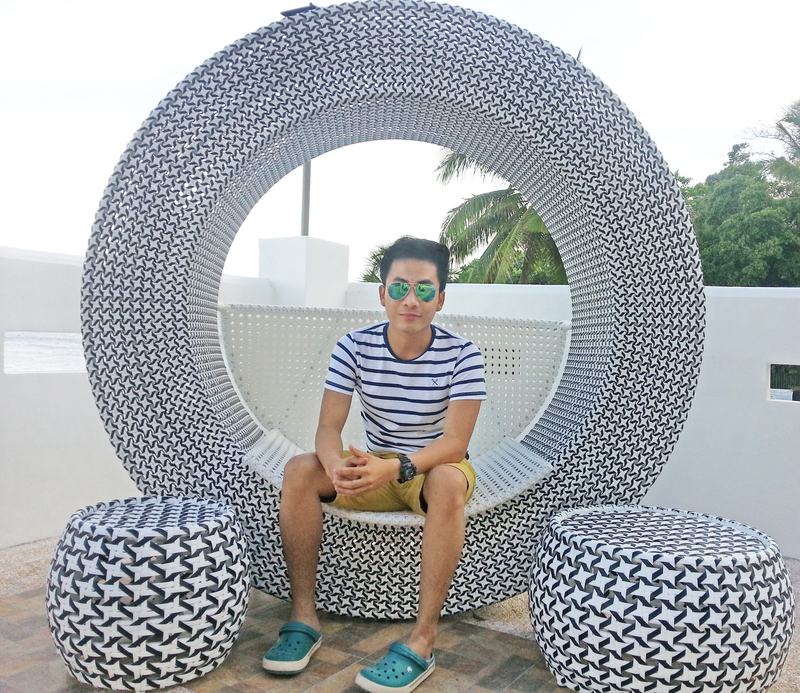 Chic photos of their sophi-Balesin resembling furniture boosted its appeal through social media. It is located at Lawigan, San Joaquin town in Iloilo, an hour away from the city. You may take a San Joaquin-Lawigan jeep at the Don Benito Q. Acap Sr. Southern Iloilo Perimeter Boundary in Oton. If you are from the city, two choices: take a jeep at the Iloilo “Super” Market, near Robinsons Place Iloilo or go to Molo terminal. The nearly 10-kilometer bus ride aches will be compensated by the ‘relative’ enjoyment you can get upon arriving at the Assemblage and its amenities, the playground, the infinity pool, the verandas, the convention hub, and water sports activities. Panobolon Island is one of the island barangays in the Province of Guimaras. Together with Yato and Guiwanon islands, they form part of the Municipality of Nueva Valencia which is the tourism capital of the island because of its beautiful white sand beaches and fringes, and abundant marine resources. It is really nice seeing the islands of Yato and Panobolon meet the silent blue waves, the heap of verdant island trees and the blinding summer cerulean skies. Very relaxing. The earth, the sky and the water, mustered in one beautiful photo. Perfect elements of the Panobolon Island from the Sweetest Mango Province. Guimaras, Philippines. It is not developed as a tourist destination but it serves as livelihood providing shelter of the people living in the island. It can be reached through the Cabalagnan docking site. 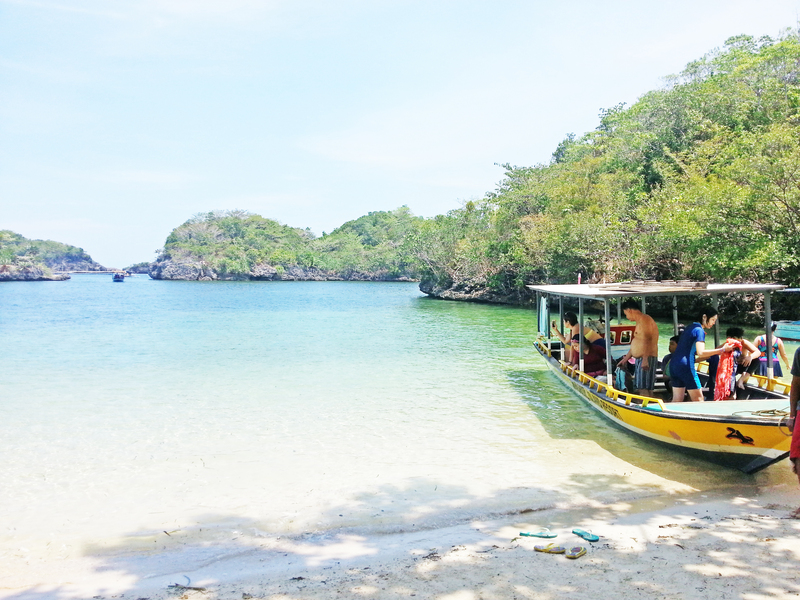 For all the sand bar lovers, you may want to get the eco-tour package of San Roque Community-based Rural Tourism (CBRT), one of the sustainable tourism programs the Province of Guimaras boasts. 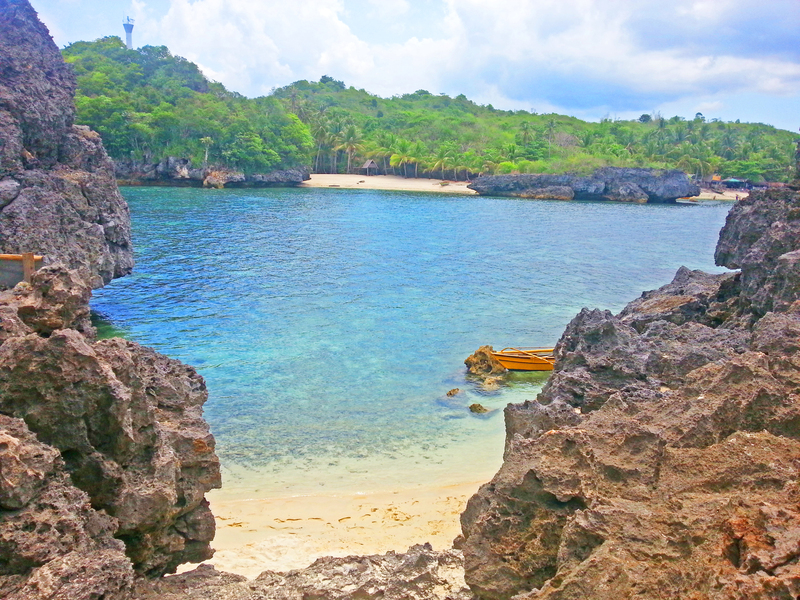 Beautiful rock formations around San Roque, Guimaras. Enjoy Suba Malawig (Long River), see the unique Guimaras Wid Ducks and in the early day time, clap your hands to the birds straying at the mangrove forests. Raw photo of the floating cottage donated by the ABS-CBN Foundation to the CBRT in San Roque. First time to know that therein lies a sandbar! Whoa. Guimaras, Philippines. After the tour, find yourself on a placid beach in the middle of the sea, the sand bar and the ABS-CBN Foundation donated floating cottages, a support from a private sector for the tourism program of the thriving province. If you are interested, the Provincial Tourism Office is glad to serve you at (033) 581-2021 or you may call Governor’s Office at (033) 581-2057. Let us go to the capital of Guimaras, the seat of the provincial government, the center for trade and commerce and the Gateway to Guimaras, the Municipality of Jordan. I was lucky to have ended my summer getaway with my family, one of the most awesome feelings. We decided to visit a private village in Barangay Sinapsapsan they call ‘Balingasag‘. Natives harmonize with nature through fishing as their primary source of livelihood. 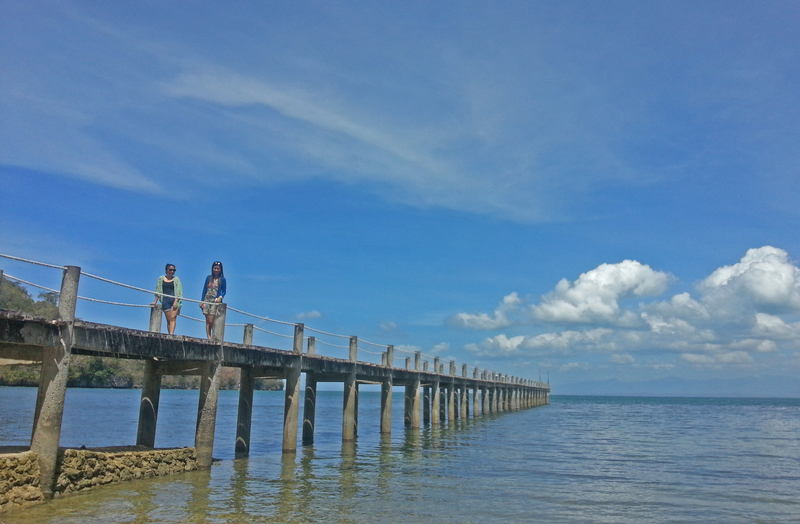 While the oldies opted to stay at the main beach, I roamed around the coast with my two amazing cousins. I am used to seeing eye candy corals and I am happy there are still places like these in our island. 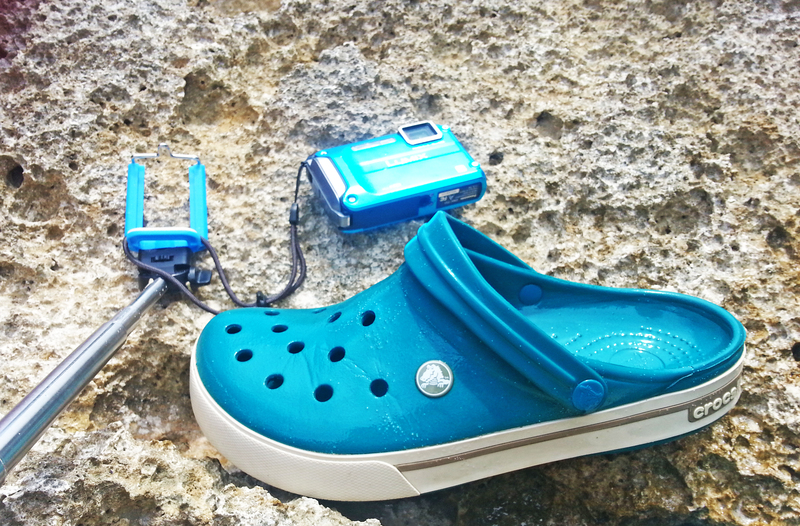 All you need to have is a pair of tough footwear against the spikes of the rocks, underwater camera to immortalize moments and a stick to show the world the experience, wide and wild. We used this boat be our official instrument to paddle around but the wind had us on the wrong direction and ended pushing it by ourselves. We paddled for around 30 minutes and the water level was just chest level. Not funny. Haha! Here is a video that will attest to the fineness of the sand of one of the islets around Balingasag. English please. Pinakakahipid nga isla isla nga nakita ko. Balas nga wala gid bato pero ang dagat puno sng coral reefs kag isda. Guimaras, Philippines. Summer spent with your family is indeed summer well spent. I went here thrice this summer and Cabaling Beach Resort in Barangay Espinosa, Jordan, Guimaras never failed to make me feel relaxed and have my friends take photos on its renowned nostalgia filled mini port. Remember solitude and a cup of coffee in the mornings or beer and a beautiful anemic sunset? 50 First Dates? At 50-peso entrance fee, revel at their pool overlooking the neighboring beach resorts, pavilion, the three-storey hotel with verandas, and the usual-BBQ scenarios cottages and hubs. Cabaling Beach Resort is just 20 minutes away from Brgy. San Miguel, the center barangay of Jordan town. If you choose to have a direct trip from the city, rent a pumpboat from Ortiz wharf directly to the resort. Here is the contact number for inquiries: 09494909206 or visit their Facebook page at Cabaling Beach Resort. If you find it hard, just contact me and I could be of help. I am a native of this Barangay. That’s the wrap of my Summer 2015. 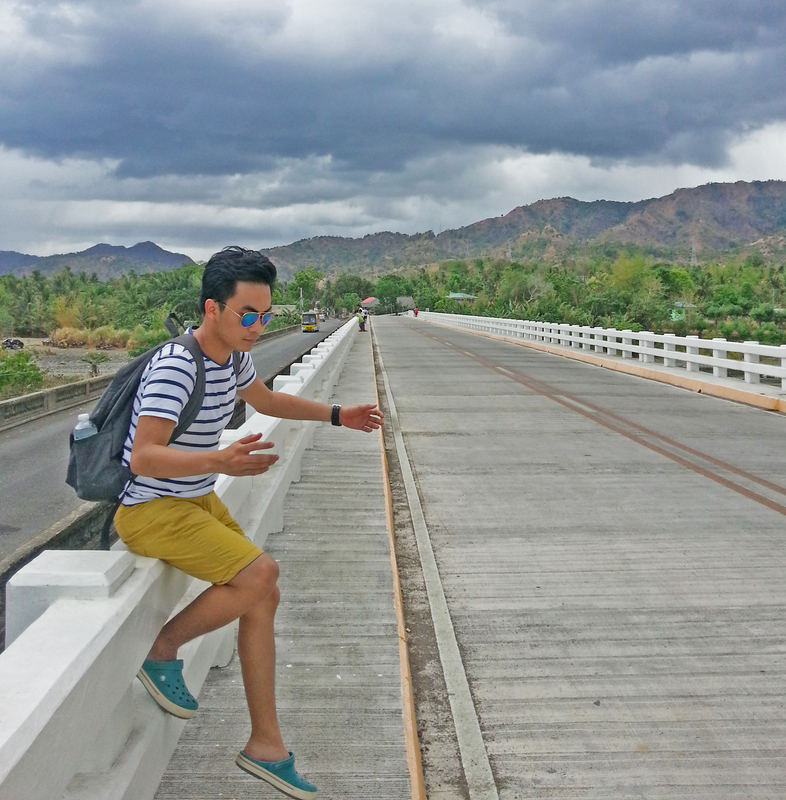 Hope you got some ideas of where to go to if you are here in Panay Island. It is heritage you get in Iloilo and nature in Guimaras. So from the six fresh choices for a summer getaway in Iloilo and Guimaras, take your pick. What is your choice? Hello, we are a big group of 12people coming from Manila and have no clue where to stay in Guimaras. We’re planning to go there May 21-23 during the Manggahan Festival. Can you recommend the best place for us? We have 3 senior citizens and 2 kids with us so hopefully, a place where it doesn’t take too long to get to. Thanks in advance!